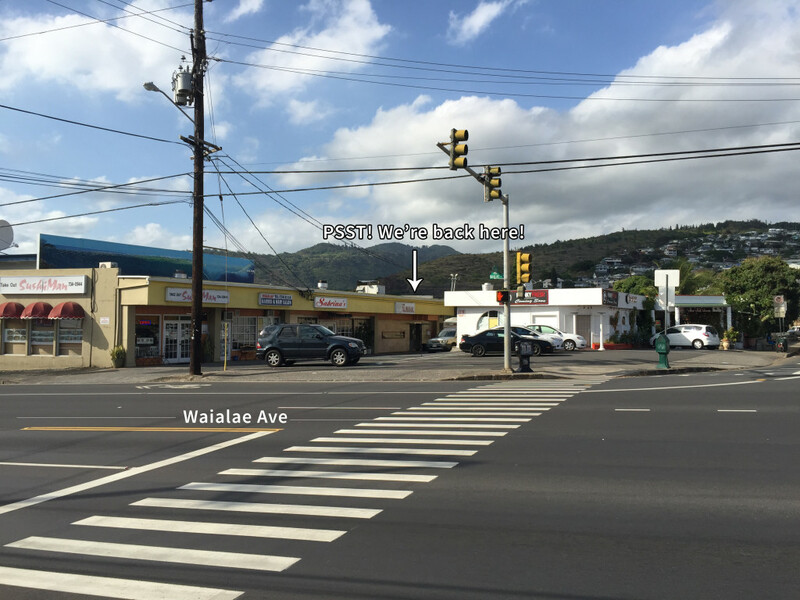 We welcome you into our humble, family-owned restaurant located in the heart of Honolulu, HI since 2008. 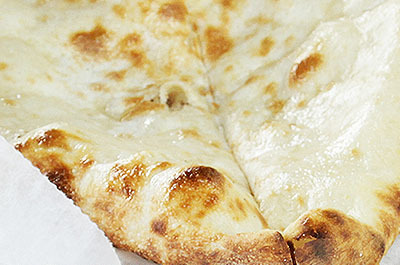 We want to provide you with fresh, home-cooked multi-regional blend Indian dishes, breads, and entrees. Classic favorites like Curry Masala, Korma, Biryani, Naan, and Samosas. Our curry dishes, fresh breads, and clay oven grilled tandoori kebabs mix flavors from different regions of India to create a unique dining experience. View our Lunch Menu or Dinner Menu for a full list of our items. Hawaii has nothing short of amazing Asian cuisines to explore. Husband and Wife, Kabir and Nitu, have been apart of the restaurant industry for nearly 15 years. They strive to create authentic Indian dishes from multiple regions incorporating Indian and Bangladeshi flavors. 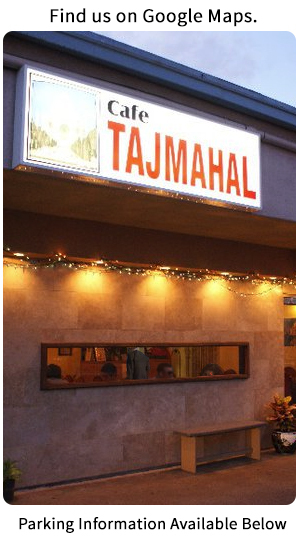 They started Cafe Taj Mahal to share the wonderful flavors of Indian cuisine to your plate. 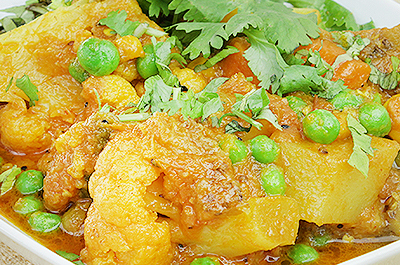 We have a great selection of delicious vegetarian dishes such as Paneer, Kofta, Dahl, and more! 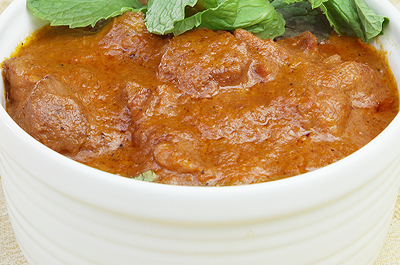 Our Butter Chicken has our regular’s coming back for another round. We have a tremendous variety of sauces for you to try, from mild to fire hot. Fresh naan bread pulled straight from the Tandoori Over. The most amazing bread you could get your hands on, believe it. Additional Parking at City Mill and Lighting Elegance! 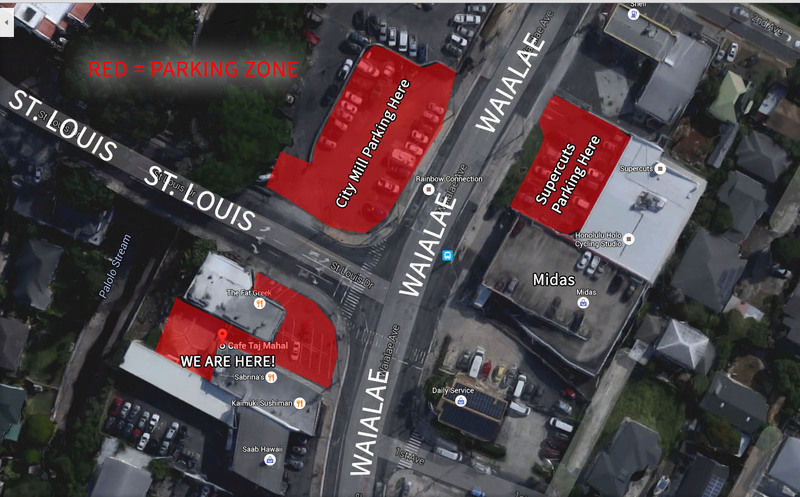 There is available parking in City Mill (lower area) and Supercuts and Lighting Elegance on the right hand side of Waialae past Midas. Otherwise if you arrive before Dinner rush (7pm) or after (8:30pm) you should be able to find parking in our lot. It fills up quickly!